A staggering £300m has been spent by Premier League clubs in the first week of the summer transfer window as they gear up for a big season ahead. With the benefit of a new TV rights deal which will bolster the spending power of the 20 clubs further, they’ve wasted little time in strengthening their respective squads. 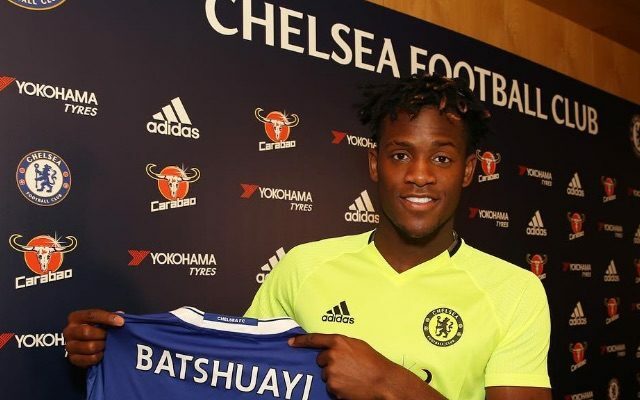 As noted by The Sun, there have been many big-money transfers already, including the likes of Henrikh Mkhitaryan to Manchester United for £26m as well as Sadio Mane to Liverpool for £34m and Michy Batshuayi to Chelsea in a deal worth £33m. The top clubs are spending heavily, and that in turn means that we’re going to have what promises to be an exceptional season in the Premier League next year. Not content with attracting the best tacticians in the likes of Antonio Conte, Pep Guardiola, Jose Mourinho, Jurgen Klopp, Arsene Wenger and many more, the top players are also continuing to arrive in their droves. Aside from those mentioned above, Zlatan Ibrahimovic, Granit Xhaka, Ilkay Gundogan and several others are set for their first year in England, and that will result in an ultra-competitive yet highly-entertaning year of football coming up. It still remains to be seen who ultimately prevails next year, and the spending is certainly far from done as even clubs coming up from the Championship such as Middlesbrough have shown their intent early as they look to strengthen and avoid an immediate drop back down. As proven last year, nothing should be ruled out given Leicester City’s triumph, and aside from the Foxes who will look to defend their Premier League crown, there will be a whole host of other clubs looking to emerge as the surprise package. Individual battles both on and off the pitch between the likes of Mourinho and Guardiola will add further sub-plots, but they will all be focused on their own ambitions and limitations, and will be desperate to live up to expectations. With so much at stake, the race for the title, a top-four finish and the battle to avoid relegation will all be a riveting watch as the Premier League continues to invest heavily to bring the best of Europe to England.